For over 25 years, HopeNet has served the Wichita community. Our goal has always been to provide a net of support for the vulnerable and to give hope to those who need it most. At first, we served as a resource to mothers who were dealing with unplanned pregnancies. But we saw that this was not helping our clients break free from the root issues that were at heart of their struggles. As a result, HopeNet began providing coaching, counseling and Christian care to anyone who needed help. 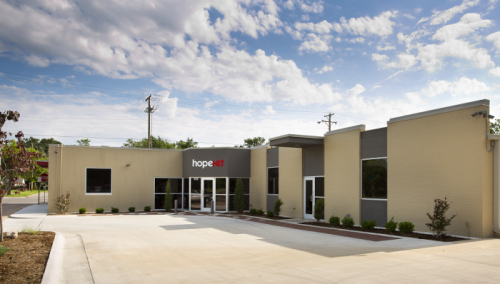 Because of our focus on counseling, HopeNet has become the go-to resource in Wichita for mental health. In 2018, we added Leadership Coaching and Training to our services to further our calling to serve the city. With these we can train key leaders and educate ministries and businesses for exponential impact across the city. Yet HopeNet continues to be donor supported. Offering services to the community at large increases our ability to offer the sliding scale with a stable income stream. As our mission grows, we are still committed to those who are ready to change; those who have limited financial resources; and those who are serving our community. HopeNet is a 501(c)3 non-profit. We do not take insurance or government funds, and our generous donors make our sliding scale possible. Eligible clients must provide proof of income. Initial intake appointments and Resources Coaching sessions are always free. Our coaches are licensed Social Workers or are credentialed by the International Coaching Federation. Our therapists are all licensed by the Kansas Behavioral Sciences Regulatory board and many are trained in EMDR. We are committed to providing professional and comprehensive services to restore hope and dignity. Thanks to the expertise and support of Shelden Architecture and Hutton Construction, HopeNet was able to purchase and do an extensive remodel of our current facilities. Our building is now beautiful, warm and safe for our clients. Restoring dignity and hope, based on Christ’s love, by offering comprehensive and professional services. Learn more about our staff, Board of Directors and statement of faith.